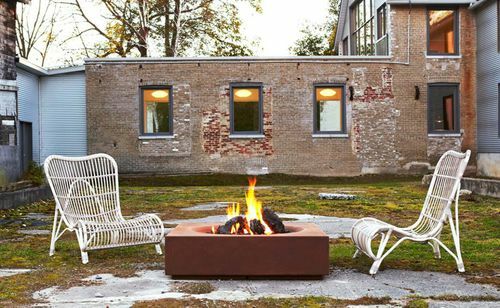 Inspired by the crater left by a sunken volcano, Caldera Corten is a bold and sculptural fire feature. Formed in 3/16” Corten steel, its substantial size (45″x45″x12″h ; 1143x1143x30), rectilinear form and patina finish make it a thoroughly modern fire pit – the perfect focal point for a contemporary outdoor setting. 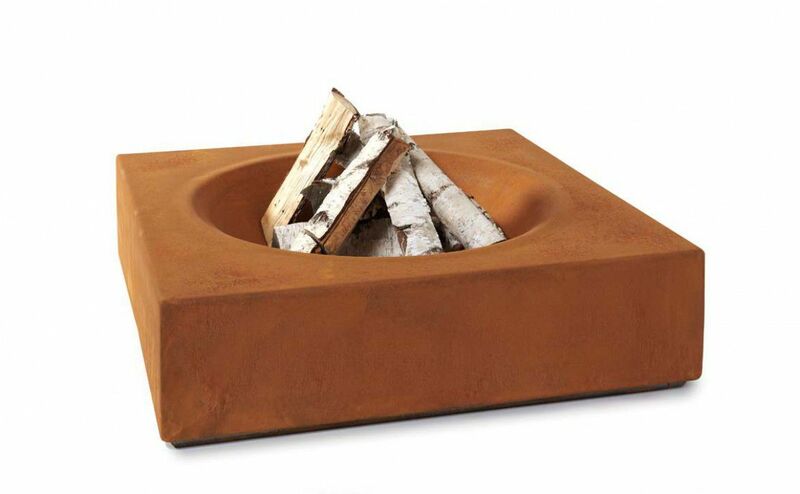 The Caldera modern fire pit may be ordered for wood burning, or with your choice of natural gas or propane burners. Our burners are available in two styles: a manually-lit version with standing pilot and safety thermocouple, or with electronic ignition that may be controlled with a wall switch or wireless remote. Our burners are ETL listed, certified to CSA and ANSI standards for the U.S. and Canada and CE certified for the EU. At 69,000 and 60,0000 BTu/h (25-27 kW), they provide a beautiful flame and cozy warmth to extend your enjoyment of the outdoors into the chilliest seasons. 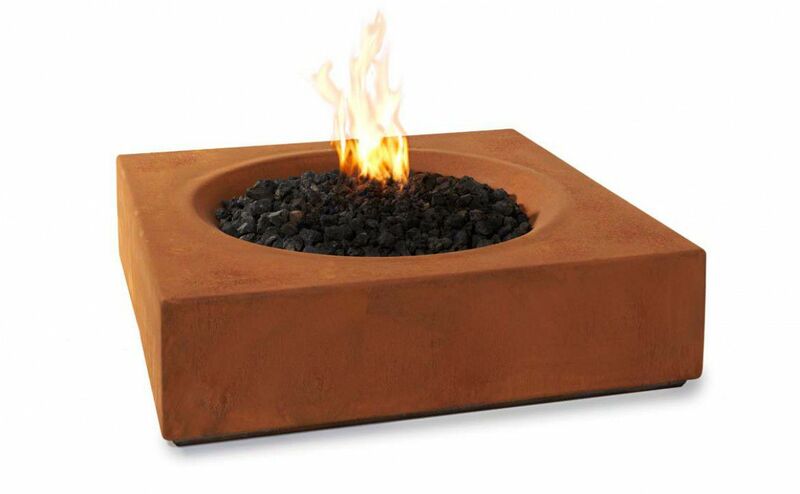 Natural gas and propane versions of our Corten fire pits come complete with lava rock topping medium. Corten steel firepits are pre-weathered to provide even patina coverage.